Mourinho, Wenger not in top 10 ANTONIO CONTE looks set to win the premier league title in his first season and he is also top of the charts when it comes to win percentages. With Chelsea ten points clear the title is theirs to throw away- but in September you might have been forgiven for thinking that the Blues would be so rampant. 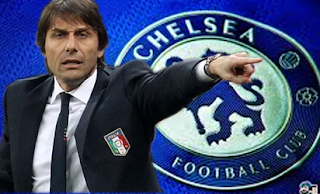 The 47 year old has taken his side to the top sport, smashing Ferguson's 10-year best win percentage record of 70.8 percent, Conte is currently sat at the top with 79 percent. But the acid test will be whether the Italian can continue this ratio for more than just one season. Ex Chelsea boss Guus Hiddink completes the top three, but in some way behind with 64.5 percent. But incredibly, his win ratio is lower (61 percent) than that of his predecessors Manuel Pellegrini and Roberto Mancini (both 61.3 percent).